The Best Tokyo Travel blogs from thousands of top Tokyo Travel blogs in our index using search and social metrics. Data will be refreshed once a week. Tokyo, Japan About Blog Tokyo's longest-running English lifestyle magazine, packed with food, travel, tips, city guides, news, interviews, and more. Facebook fans 78,380. Twitter followers 11,120. Tokyo About Blog A Cheapo's guide to visiting and living in Tokyo. Cheap restaurants, hotels, entertainment and shopping. Facebook fans 28,316. Twitter followers 4,851. Tokyo-to, Japan About Blog A friendly photography blog from Jiyugaoka, Tokyo, Japan. It's the online home of photographer and blogger Dave Powell. Facebook fans 5,824. Twitter followers 7,594. Tokyo About Blog The Essential Guide for International Women and Families in Tokyo. Your guide to all that's cool and happening in the world's greatest city. Facebook fans 40,793. Twitter followers 1,265. Los Angeles, CA About Blog Blogging about my experiences and knowledge on independent travel in Tokyo. Sharing practical information for new and experienced travelers to Tokyo and other parts of Japan. Consult me if you are planning to visit Tokyo. Facebook fans 2,738. Twitter followers 1,010. About Blog Truly Tokyo is an online Tokyo travel guide. Comprehensive Tokyo itineraries and guides to the best places to eat, stay and shop - all personally inspected. Make the most of your trip to Tokyo with our comprehensive Tokyo itineraries, our definitive list of the best places to eat in Tokyo and rundowns of essential attractions in each of Tokyo's fascinating districts. Facebook fans 6,926. Twitter followers 70. San Francisco, CA About Blog A sub-reddit for all things in and around Tokyo for residents. Facebook fans 1,161,574. Twitter followers 519,314. About Blog Your ultimate Tokyo Guide. Here at Tokyo.com, we have everything you need! From shopping to sightseeing or culture, from its restaurants to its fashion, Tokyo is a hub of attractions sure to satisfy all visitors. Check out our happenings for news and events, our interactive Tokyo for attractions, and most importantly, check out our many listings for Tokyo.com best recommendations! Facebook fans 122. Twitter followers 31. Tokyo About Blog Posts about Tokyo Daytripper written by tokyofox which includes Movie Locations, B-Grade Sights, Cycling Trips, Travel, Films, Foxes, English Teaching, Star Wars, J-League, Dining Out, LCFC. Facebook fans 121. Twitter followers 475. Tokyo-to, Japan About Blog Tokyo's quickest travel guide, including the essentials to travel in Japan, sightseeing in Tokyo and tips from a local. Tokyo is really a fascinating destination, but travelers say it was challenging to plan a trip because this city was too complicated. Facebook fans 241. Twitter followers 401. New York, NY About Blog I blog about things to do in Tokyo. I love Japanese food, so many of my posts are about restaurants in Tokyo, but I also cover things to see and nightlife in Tokyo. Facebook fans 3,433. Twitter followers 2,424. Minato-ku, Tokyo, Japan About Blog Private guided tour & assistance service for small group. Tokyo Travel Assist is a unique private tour guide agency for small group. Friendly touch, flexible arrangement and total support for visitors in Japan. Facebook fans 529. Twitter followers n/a. Edmonton, Alberta, Canada About Blog More than Tokyo. Focused on Japanese pop culture, Japanese collectible culture, anime, science fiction, and other interesting things. London, England About Blog Posts about tokyo written by wanderlustplusone. Blog about the fun of travelling with children to weird and wonderful places across the world. Our aim is to provide you with expert tips and ideas for your next family vacation. Facebook fans 446. Twitter followers 76. Tokyo About Blog Information about Travel in Japan. My Tokyo Guide creates journeys that go beyond superficial sightseeing, to experience the "Real Japan" as the locals do. My Tokyo Guide offers personalized packages providing a truly genuine Japanese cultural experience. Whether you are planning a short trip to Tokyo or a month-long vacation throughout Japan. Facebook fans 1,267. Twitter followers 575. Shinjuku-ku, Tokyo About Blog Sister Shae Modersitzki -- Tokyo Japan Mission. 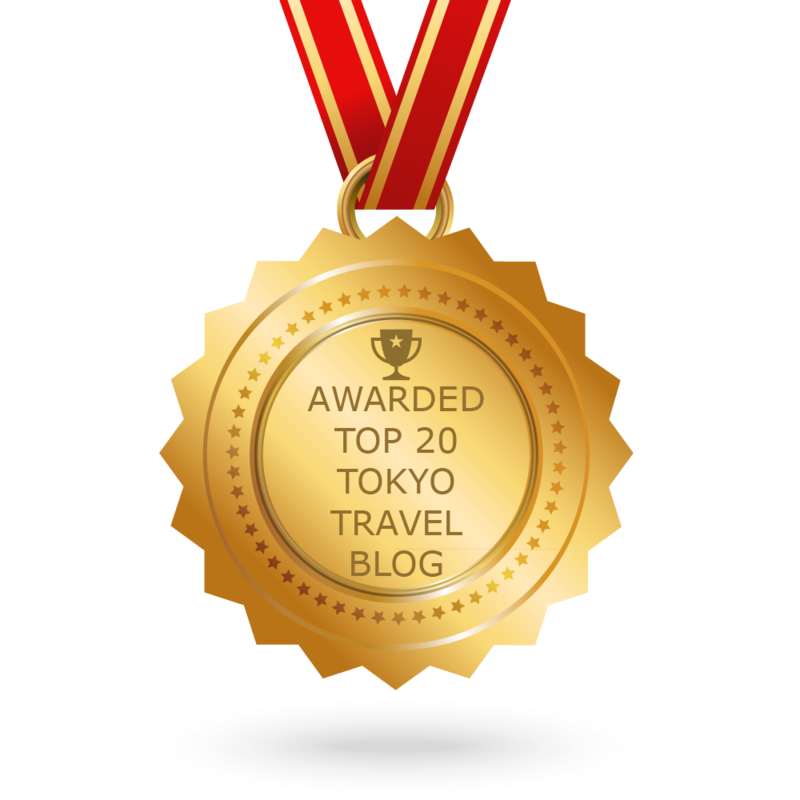 CONGRATULATIONS to every blogger that has made this Top Tokyo Travel Blogs list! This is the most comprehensive list of best Tokyo Travel blogs on the internet and I’m honoured to have you as part of this! I personally give you a high-five and want to thank you for your contribution to this world.